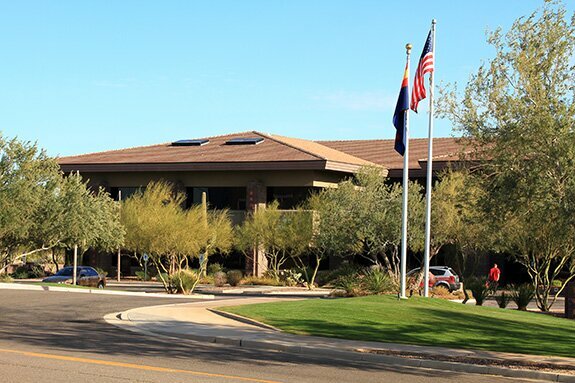 Anthem homeowners won’t see an increase in assessments from Anthem Community Council next year, but a hike is likely in 2020 or 2021, officials said. Meanwhile, residents of Country Club and the Landing will see their 2019 HOA dues go up. At its monthly meeting Oct. 24, ACC’s board of directors approved an $8.6-million balanced operating budget for 2019. The last ACC increase was in January 2014 at $6 per month. ACC oversees maintenance and operation of common areas, including the community center, community park and civic building. Three separate HOAs—Parkside, Country Club and the Village (condos)—are distinct from ACC and enforce homeowner rules and maintain pocket parks and other common areas. A resident’s quarterly bill from ACC includes ACC and HOA assessments. The Parkside HOA passed its 2019 budget ($1.4 million) and will not raise its assessments in 2019. These dues haven’t increased since 2009. Residents of the Landing, a gated section of Parkside with about 182 homes near Ace Hardware, pay Parkside dues plus an additional assessment. They will see a quarterly increase from $59.40 to $71.28. “This assessment will continue to cover the regular maintenance of the Landing gates and streets as well as future street improvements,” Parkside HOA officials said. The Country Club HOA also approved its 2019 budget last week, totalling $3.57 million. Club residents will see assessments increase $4 a month starting in January, 2019. This comes after last year’s Country Club assessment increase of $9 per month. The Village budget for 2019 has been approved, and there will be no changes to assessments, said Dwight Reid, the HOA’s community manager. The Village dues, which include water and trash bills, plus landscaping and maintenance of building exteriors and roofs, went up by $29.80 per quarter last year. Total ACC revenues for 2019 will be $10.8 million. Of that, $2.2 million will be placed in the reserve fund, leaving the $8.6 million operating budget. The state’s rising minimum wage and a competitive labor market is pushing up salary and benefit costs. Janitorial services will increase 3 percent in 2019. The community’s landscape contract has not increased in seven years but will be renegotiated for 2020. New maintenance costs loom for the pickleball courts and dog park. ACC’s three biggest spending buckets are parks and facilities maintenance and infrastructure (28 percent), payroll, taxes and benefits (20 percent), and landscaping and grounds maintenance (20 percent).